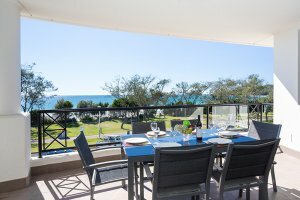 From the moment you walk out onto your balcony, watching the sunlight sparkle over the sea, you will know you have chosen perfectly for your Byron Bay accommodation. 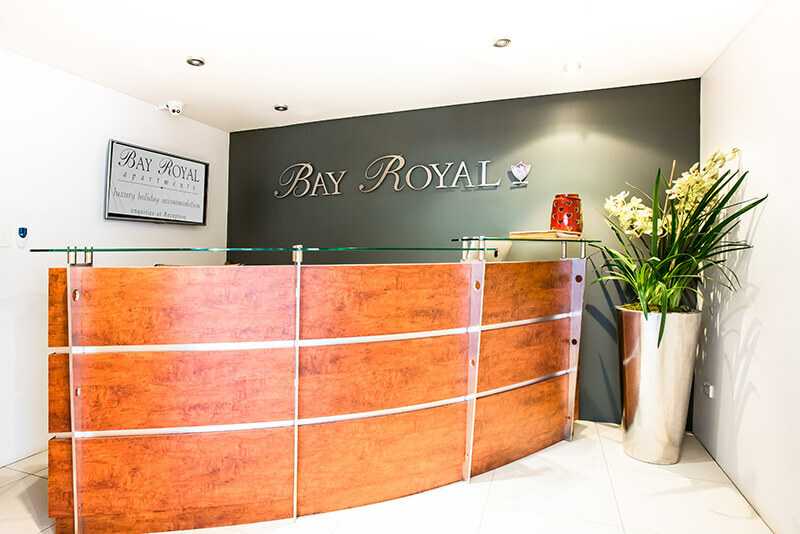 Bay Royal Apartments have absolute beachfront accommodation in luxurious fully self-contained apartments. Located in the heart of Byron Bay’s vibrant town centre, a quick walk and you can be surfing the break, indulging your tastebuds, or shopping to your hearts content. Byron Bay is known for its boho chic and sophisticated style, it’s laid back attitude and incredible beaches and Bay Royal Apartments present the ideal accommodation choice to allow you to sample the best of Byron Bay. Every one of Bay Royal’s modern 1, 2, 3 and 4 bedroom apartments features spacious living areas, fully equipped kitchens, ensuited bedrooms and large sweeping balconies overlooking the main swimming beach. Experience the holiday of a lifetime with full resort facilities and the convenience of your own private apartment. Bay Royal Apartments offer your dream Byron Bay holiday at a price that won’t break the bank.